iPhone cameras are largely effective, however, just like with all other digital devices, you may encounter problems with the iPhone 7. One of these problems is the iPhone 7 camera not working. It could happen for many reasons. Below are some of the common iPhone 7 camera problems and some of the steps that you can take to rectify the situation. If your iPhone 7 camera app constantly freezes, the first thing you need to do is to find out whether it's a software or hardware problem. Launch Whatsapp or any other video chatting app and try to make a video call. Check iPhone rear and front cameras. If both work fine during your video call, congratulations, it's a software issue. Or you will need to go to Apple Store for hardware replacement. The software issue could be due to ill-conceived update as well. If there is any latest update available, upgrade your iPhone. Make sure to do so through iTunes as it is considered to be better than over the air update (Settings → General → Software Update). If this doesn’t work, you can manually restore iPhone and then restore from backup. Or, to make things easier, use Tenorshare iCareFone to force iPhone to reboot and end this freeze with 2 clicks. Launch Tenorshare iCareFone, select “Fix iOS Stuck” from the menu, then in the next interface, click “Enter Recovery Mode”. "Hello. Photos on my red iPhone 7 camera roll disappeared today and I was left with a camera icon saying “take photos”. But if I take a photo it does not store on the iPhone or the camera roll? How can I fix this?" 1. Do not close that screen. 2. Un-plug the phone from the computer. 3. Take a picture (The pic will now appear in camera roll properly as it should). 4. Plug the phone back in and restore from your back-up. Everything should be good to go. Most of the time when I take a photo with my iPhone 6, it shows it in the bottom left thumbnail but when I tap it, it is not there, not in the gallery app either. My iPhone 7 isn't saving shots. I tried many ways to solve this. What finally worked was backing up my iPhone to iCloud. 1. Make sure you are connected to WiFi and then go to Settings>iCloud>Backup>Backup Now. 2. 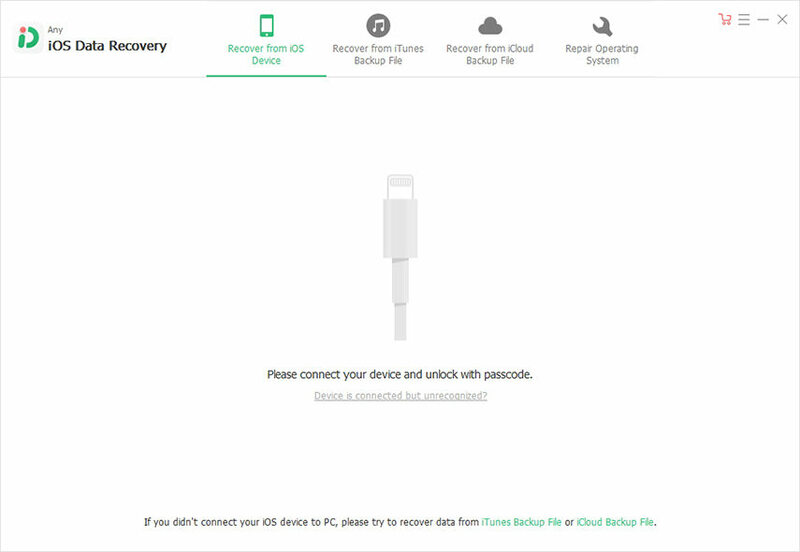 Plug iPhone to computer, go to iTunes and click on Restore iPhone. This may take a little while to download the software. 3. Once the restoring finished, choose Set up as New iPhone. 4. After setting up the iPhone, sign into iCloud. And all your photos and contacts should be there. If it is because you are running out of space, you should delete unnecessary apps, photos and get rid of Other data on iPhone 7. "New iPhone 7, just bought 2 days ago. iOS 10 camera works fine and flashlight works fine, but in the morning, rear camera shows black screen only and flashlight do not switched on. Any apps that uses rear camera are crashed. Downgrade iOS don’t resolve issue." Apple community specialist suggests that you troubleshoot using the following tips: If the screen shows a closed lens or black image, force quit the Camera app. 1. 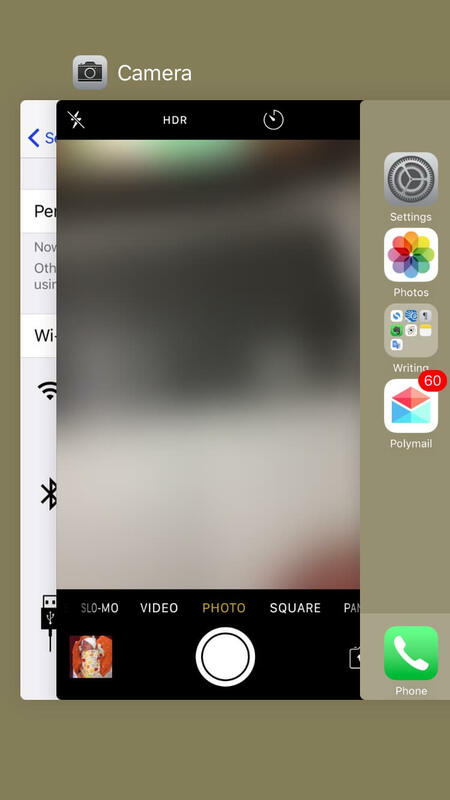 If you do not see the Camera app on the Home screen, try searching for it in Spotlight. 2. If the camera does not show up in the search, check to make sure that Restrictions are not turned on by tapping Settings > General > Restrictions. Also, you should ensure the camera lens is clean and free from any obstructions. Use a microfiber polishing cloth to clean the lens. Remove case and clean lens: Sometimes, the case is the reason why the camera won’t focus and as a result, all the snaps are blurry. Try gently cleaning the lens with a clean dry cloth or removing the case if you see image or color-quality issues with photos. Restart iPhone: A simple restart solves the problem. After the restart, check the camera focus again. To restart your device, press and hold the sleep/wake button, and slide to power off. When the phone is off, once again, press and hold the sleep/wake button and turn your device back on. 1. If your iPhone is in a case or bumper, remove it. 2. Ensure the flash lens is clean and free from any obstructions. Use a polishing cloth to clean it. 3. Tap the lightning bolt in the upper left of the screen and make sure the flash is On. 4. Try to restart your iPhone (press and hold the Home and Power/Sleep buttons). 5. Turn on the Flashlight from the Control Center. If it works well, your camera flash is also ok.
6. Turn off Camera location services. Go to Settings > Privacy > Location services and switch it off on the Camera app. It’s important for us to note that we’re not pointing these iPhone 7 camera roll poblems out to nitpick. We’re pointing them out to generate discussion and to serve as a warning. If this is your first iPhone, you’d still like to know how to speed up iPhone 7 after iOS upgrade.